Richly spiced and varied, the cuisine of Indonesia reflects the diverse nature of its numerous islands in the largest archipelago in the world. Of 17,508 islands, only about 6,000 are inhabited, the largest of these being Java, Sumatra, Borneo, New Guinea and Sulawesi. Numerous ethnic groups and languages shape the republic of Indonesia, the largest ethnic group being the Javanese. Indonesia is also rich in biodiversity and natural resources. 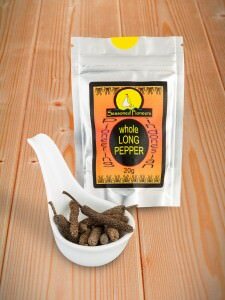 Typically, the fiery heat of chillies is tempered by aromatic herbs together with sour limes and sweet tamarind. Spicy relishes known as sambals feature heavily in Indonesian cooking, being uniquely Indonesian combinations of chillies, coconut and trassi (shrimp paste). 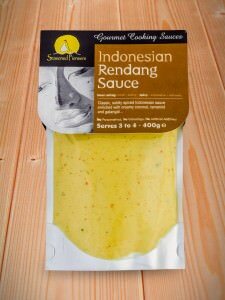 Indonesian cooking has been influenced over the centuries by many nationalities and cultures, particularly Chinese, Indian and Dutch. 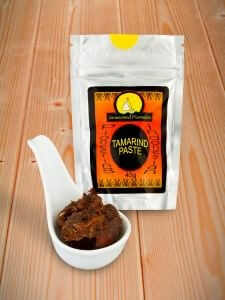 Indonesian spices or rempah that are native to Indonesia include nutmeg, mace, cloves and galangal. 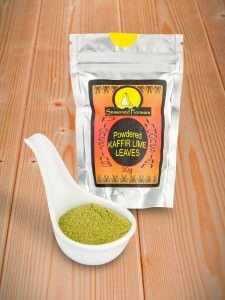 The many other spices that are used have been introduced over the centuries, mainly from India and China, but are now regarded as true Indonesian spices. 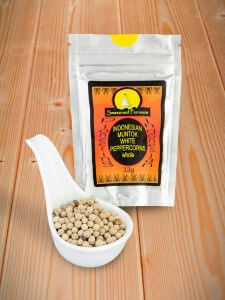 Despite having such an extremely diverse cuisine, Indonesian spices are integral to all the regional dishes. Indonesian cooking has become popular in other parts of Southeast Asia, particularly classics such as rending, sambal and satay, which are widely consumed in Malaysia and Singapore. 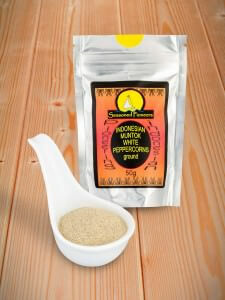 The ability to buy Indonesian spices online enables the keen cook to create such dishes with ease. 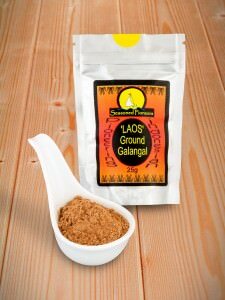 Laos powder is actually ground galangal which imparts a tart citrus and ginger flavour to Indonesian cooking. 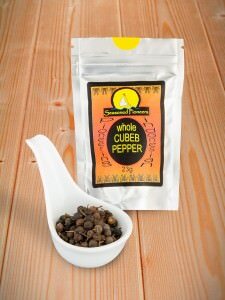 Other widely used Indonesian spices and herbs include Kaffir Lime leaves, Tamarind paste and several varieties of peppercorn, notably Cubeb pepper, also referred to as Javan pepper. 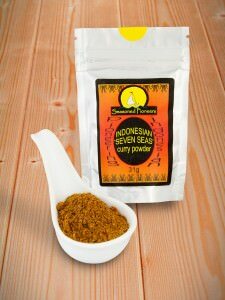 When buying Indonesian spices online, an essential purchase should be our Indonesian Seven Seas curry powder. 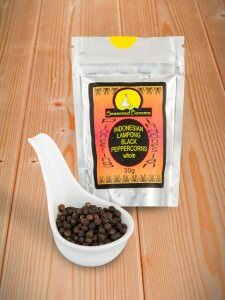 Literally a blend of seven Indonesian spices, this sultry to spicy mix is widely used in Indonesian curries, stews and the spicy sambals that complete any authentic Indonesian meal. 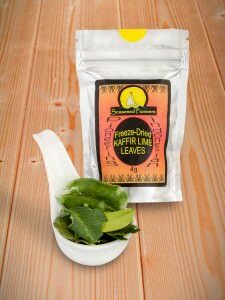 If you need any further information about buying Indonesian spices online, then please contact us and we will do our utmost to assist you.